This is my letter today to Mr. Bui Van Nghi, Vietnam Secretary General, VUS (Vietnam-USA Society) and VUFO (Vietnam Union of Friendship Organization). I am sorry for this late reply, although my message comes to you before the great occasion and with great respect of the same. November 17, also the birthdate of my late father born in 1917, is to be remembered always with the honorable efforts of President Ho Chi Minh, sixty-five years ago, to protect and create World Peace with the founding of the Vietnam Union of Friendship Organization. My father, a college professor teaching sociological lessons for the forward movement of peace in all lands, would have been proud. As a Nationalist who loved his country and wished only for the opportunity of his country’s independence, Ho Chi Minh also endeavored for all countries to unify in friendship. As a student of many political and human societies around the world, who was better qualified at the time, sixty-five years ago, to promote mutual understanding within all cultures throughout the world. If only peoples at the time could have heard his message, the world would be a better place today. It’s as if the Vietnamese president was viewing the future in a crystal ball with the angry world we all understand today. He seems to have had the vision for world peace before most around the world even realized it necessary. On this date, November 17, 2015, we celebrate this great observation in hopes that his dreams and aspirations can one day be a true reality on the planet. 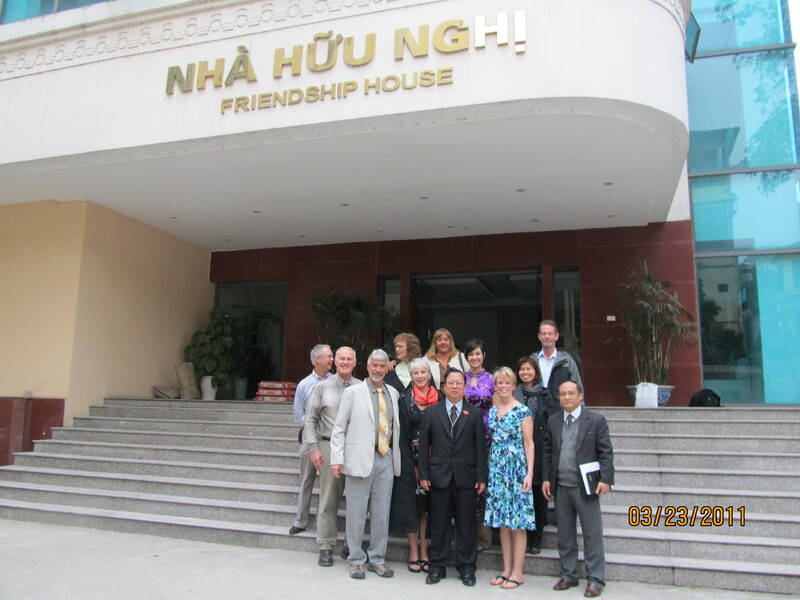 And the planet continues to need the insights behind the Vietnam Union of Friendship Organization. Yesterday, in the country Ho Chi Minh loved and spent many years studying, a needless terrorist attack has occurred again. Paris is in shock, but so also is the entire world. How can such hate and anger continue to exist? All of this seems to be for the power of individual people, within individual cultures and individual countries. Can we not all practice community reconciliation, understanding that we are different in many way, yet the same in just as many ways? We are citizens of the world known as planet earth. Ho Chi Minh sought for us all to open our perspectives for the greater outlook. There are borders that separate us all into little corners, neglectful that we really all live on the same land. The objectives of the VUFO was for cooperation and friendship for all. Peace on earth…good will towards all men. Ho Chi Minh saw that this concept was necessary to engage, long before most recognized the need. With this sixty-fifth celebration of his dream, may we all strive to become not just individuals of one country, religion or race, may we strive to be World Citizens living in unity on the same planet. Thank you Mr. Nghi for inviting me to speak of this occasion. Author: ANGELS IN VIETNAM, NOT WELCOME HOME, THE WAR AFTER THE WAR and WITH THE FLIP OF A COIN.